I am so so so excited about my latest bag from Moop. I’m truly obsessed with their bags and taut them to everyone I know. I can’t even tell you how many people compliment my Porter. I have been wanting the Market bag for some time now and finally got it in sand (such a soft color that will go with everything). I wanted something light and airy looking for spring. 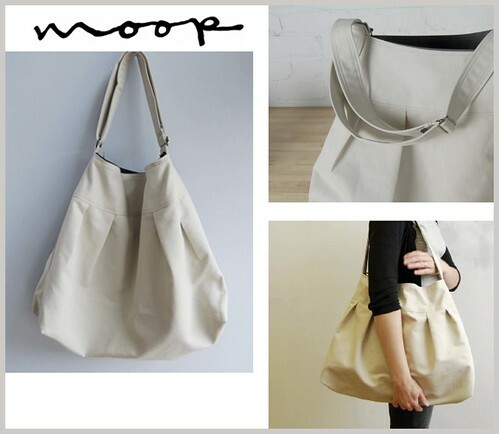 What I love so much about Moop is that their bags look so incredible and are made so very well. There are a ton of compartments and the inner zipper goes both ways and there’s a clip for keys and a mini bag to put your phone into…it’s just so perfectly functional. I’ve never found a handmade bag that’s so durable, looks so good and serves every function you canimagine. I’ll be taking it everywhere! i don’t go anywhere without my moop bag! i’m so glad you introduced me to their awesomeness.